Many people decorate their binders with stickers, washi, clips and drawings. I don’t and I never have, though I love looking at decorated binders. I think the ones with themes and colour schemes are really pretty and inspirational but to me they are more like a scrapbook or journal than a planner. I am glad other people like decorating though, because it gives me something pretty to look at and always makes me smile. Many people decorating have real talent, particularly the ones who themes and drawings every day. Other people want to write as neatly as possible, using the same special pen or pens all the time. This is not for me either. 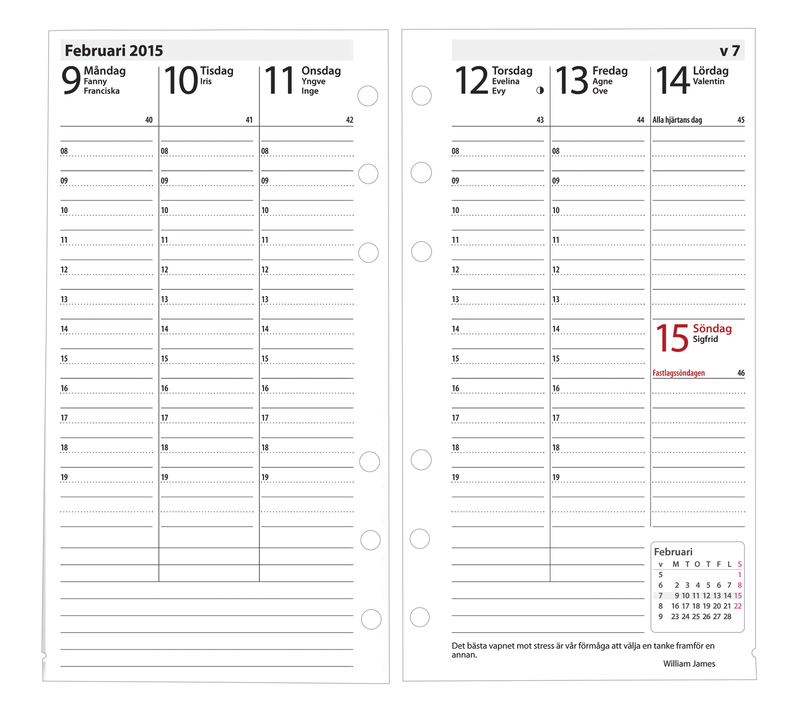 Other people use their planner to record social time, chores, television programmes. And once again, not for me (which shows how an organizer can be many things to different people, none of them less or more valuable to those who use them). Prettiness makes some people more productive and motivated, though for me scribbles are better. Mainly because my planner is a tool. That is all. I scribble things with whatever writing instrument I can find and don’t care what my writing looks like. I throw my pages away when I am done with them. I need my organizer as a second brain. I literally do not know where I have to be without it. If I lost it I would, quite literally, not know where I was going. I work as a translator, interpreter, speechwriter, mentor, coach, teacher, social media manager and language consultant. 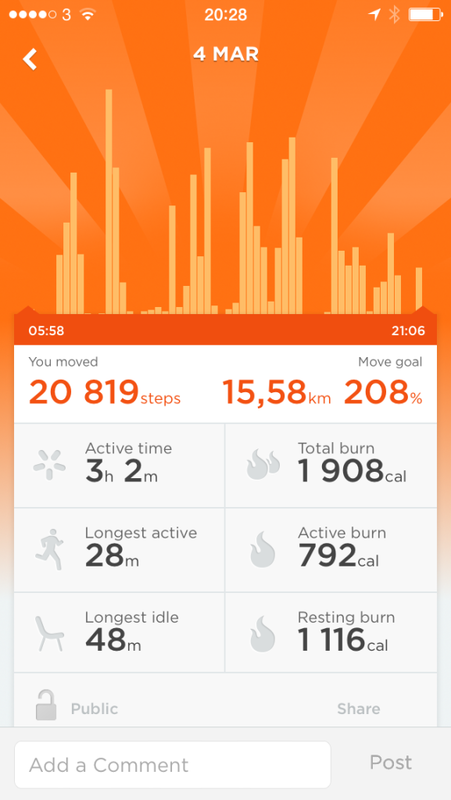 I am in up to eight different places a day and I go by foot. I do not work in an office. I work out in the field all day most days. When I do work in one place it is because I am translating. Every time I book something it is booked in my calendar and my client’s calendar. Then for me I have to book it in two room booking systems, client record system, invoicing system and the client’s system. Above you can see my planner (a custom-designed personal-sized undyed leather binder from Van Der Spek, which I have been in for 8 months solid) and my inserts – Burde Interplano and Interplano Regent week on two page vertical in personal size. I like these because they have the time on each day, which is vital for my scheduling (the Filofax equivalent only has the time on Mondays), and the little blocks of time are perfect for me. I have been using Burde for about ten years now. The other days you can see I am out in the field all day. I have changes of times, cancellations and new bookings which are all written in on the fly as I move from place to place. 11.30 – 12: Quick lunch at a nearby cafe – I usually don’t have time to stop for lunch so I eat on the fly. During lunch I catch up on emails, check Facebook and update my bookings on the electronic calendar my company uses – I do this on my iPad. I also check off completed items from my lists and add any new items. If I have time I make notes of what I did with the client and what they want to do next time. If it is confidential I use TeeLine shorthand. 12.15: Walk to the nearest underground station and catch the train to my next meeting. There is a 20 minute walk from the station and it is icy so I have to plan accordingly. 16.15: Walk to next meeting. Get through reception, to meeting room. 19.30: Play with cats, unpack shopping, do emails, printing and preparation for tomorrow, get outfit ready, work on lists. Thursday 19th was similar but less stressful as the lessons are longer so I am not running from place to place so often. and in between I do the same running from place to place, listening to voicemails and updating bookings on the fly. If you look at Tuesday 27th you can see that I had a few changes and cancellations. In this case I often have to strike through the booking and move things around a bit. I grab whatever pen is near and don’t worry about neat handwriting. I use Burde week on two page vertical layout for my bookings as it gives me an overview of the week. These weeks I had early starts so I did not teach after 6pm. If I am teaching until 9 or 10pm I make sure that that is not followed by a 7am start the next morning. I like Burde as the times are written on each day. Filofax week on two pages vertical inserts only have the times on Monday which means you continually have to scan back to Monday to make sure you have the time right. If I get a time wrong it is disastrous because I have busy people who pay huge sums for my services waiting for me. At the end of each month I invoice for the hours so it is important that my calendar is correct because I am so busy with so many different things that I cannot remember everything. I don’t use last names or any other detail in my calendar as I work in high security environments with high profile clients. Once things are invoiced and there are no questions I throw away the pages. I don’t keep any of my pages unless they have information I am going to need again. As I throw away pages at the beginning, I add pages at the end. Sometimes I use the tiny Moleskine, Filofax or Etsy stickers to denote pay days, due days for bills/forms/travel cards. When I am on holiday I sometimes put washi over the pages to show I am not taking any appointments. I do not schedule any ‘me’ time over weekends, holidays and evenings because I work so strictly with scheduling during working hours. I walk about 10km a day so I carry no supplies with me apart from spare pens. I usually work for 2 to 2.5 hours when I get home, doing administration and preparation. This I do not schedule as I can choose how I want to do it – relax a bit first and then work or vice versa. ‹ Postal delivery instructions for couriers…. 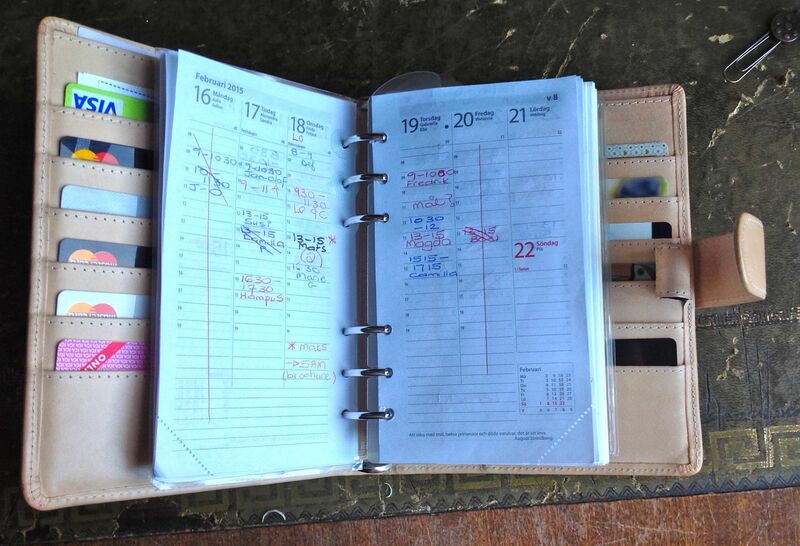 Hi Janet, thanks so much for showing us how you use your planner pages! I would like to know more about your tasks lists: do you keep them in your binder, or electronically? What categories of lists do you have (for example work and home, or more detailed categories)? Thanks for any info! I keep my task lists in my binder. I tend to make a list every night for the next day and then scribble things down as they come up during the day. I cross them off each evening and make the list for the next day. I tend to use plain lined notepaper for it. At the moment it is Eurotime. I clear out old notes once a week and transcribe things I have not done yet to a new sheet. Thanks for the info! Do you have longer-term lists, or just your daily to-do list? I’m interested because I’ve just changed the way I keep my lists and I’m looking for inspiration. I have longer term tasks on a separate sheet behind my main daily task list. For a while I had a week on two pages calendar behind my scheduling calendar to carry urgent to dos for each day but I found I was not referring to it enough and therefore missing things. So now I have short term to dos on the front of my task list and the longer term ones at the back. Great, thanks so much Janet! Yes of course I remember you! 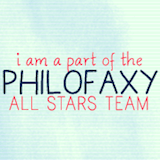 You were the one who explained how the PP Nova system worked and I love it to bits! I even bought a second one! I had a problem with the 2015 Burde refills in personal size – they were punched too close to the edge. I had to send them back twice before they sent me some that worked. I have not looked at my 2016 ones yet (they are still sealed in their plastic packets) but it will be a pity if I have to send them back too – I should check them now. Thanks so much and it is lovely to hear from you again! Not getting paid for the first day you’re sick must all but eradicate instances of people taking days off just for the sake of it! Yes indeed – it was designed to eradicate things like people calling in sick on Monday because they had a hangover. Hi…I saw this post noted on Facebook and came here. Thank you so much for this post. I don’t decorate either very much and have felt like a planner flunkie for that reason. I too am very attached to the tool of the planner. If I leave home without it I am lost…so again Thank You! Thanks for coming over to say hi! They are Burde Interplano holed inserts for personal sized. I think right now they may be sold out for 2015 as they only make January – December as far as I can remember. I buy mine from Staples. I will see if I can find more pictures for you. Absolutely love the pure functionality shown here, that’s true beauty. What planner/organizer is that? It would be perfect for my budget system! Janet, your weeks are like my weeks! I don’t decorate either as it would distract my eyes from my schedule & tasks, plus I don’t have time to decorate. I am tired from reading about your week!!!! I am totally exhausted now and ready for bed!!!! I write them over the weekends and schedule them to publish at regular intervals during the week. Best blog software feature ever! Very interesting. I love seeing people’s schedule and how they use their planner. I’m surprised you throw away the old pages but I guess that makes sense since the information is entered into a permanent system. I used to work at a law office and all the appointments were done on the computer. But at the end of each month, it was my job to print off all the schedules onto paper for a permanent record. And we actually used those paper records from time to time. Do you ever find that the weekly pages aren’t enough? Yes I do – quite often – and then I usually use a post-it or an extra page for the day/s with all the extra info written in it. Yay, someone who doesn’t decorate 🙂 but uses her planner the way it was meant to be used. Loved this post. So pleased I found it over on Facebook. 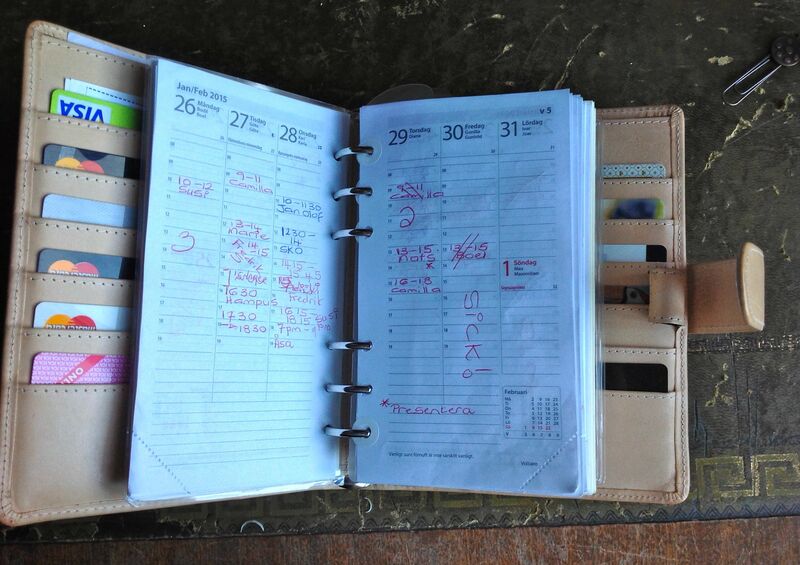 I agree, it’s a great post and I love seeing how she uses her planner. But just because someone decorates, doesn’t mean they are not ‘using her planner the way it was meant to be used’. I heavily decorate, but my planner is every bit a tool for me as this one is to her. It works for me. This one works for her. Why the judging? I think if you have space and time to decorate, that’s good. But mine is full, and I could never find the time to decorate even if I could afford the space. I suppose I do think of it as a working tool, not a fun thing. Though I do like it. “Like it was meant to be used”. What does that mean? Since I use color coding to plan and stickers to keep track of my mood or the weather – that means I’m using my planner the “wrong” way? I don’t agree with that. I know what you mean about the scrap booking thing. I love seeing all the decorated pages people do, but I started using a Filofax about 25 years ago when they were just large diaries, and I wouldn’t have the space or time to decorate. If I didn’t need a large diary for work, I wouldn’t have one. I think I’d use a journal and decorate/illustrate. 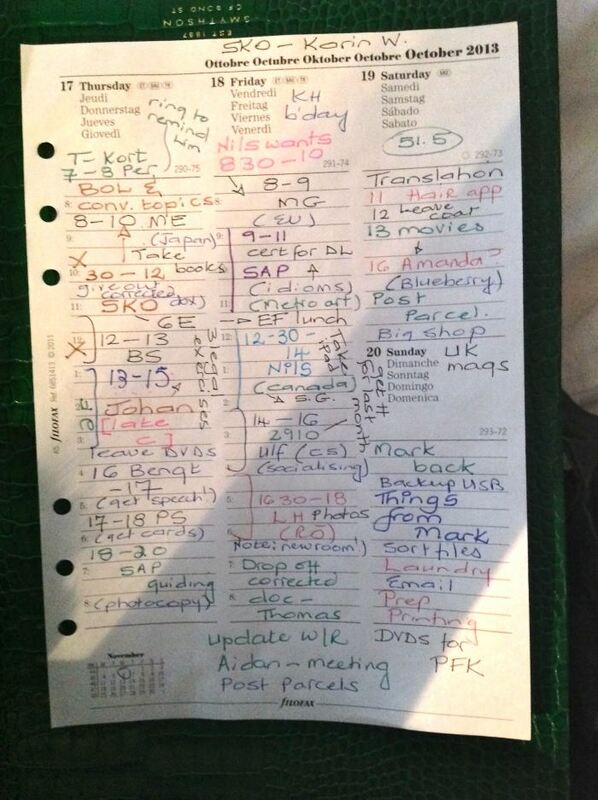 I’m not sure I’d ever use a diary for scheduling TV and so on. Life’s just too short. If I’m in, I’ll watch TV if I want, I don’t need it in my diary. And I know the dog needs walking, I don’t need to write it down. I can remember before I had a job like this, wishing I needed a diary with lots of appointments, but really didn’t, just a handful of hospital spots and so on, which worked on a family calendar. Oh for those days back again! You work like a crazy woman! I hope you love what you. 🙂 Thanks for sharing how you use your planner. Sounds like you have a system all worked out. I adore my job. But it is very tiring sometimes. That is why I tend to stay at home and potter about when I am free. i think that’s fantastic I don’t keep my pages either as most of the last seasons info is so irrelevant. I’m constantly traveling too from designer to designer and everything is also backed upto a main frame.